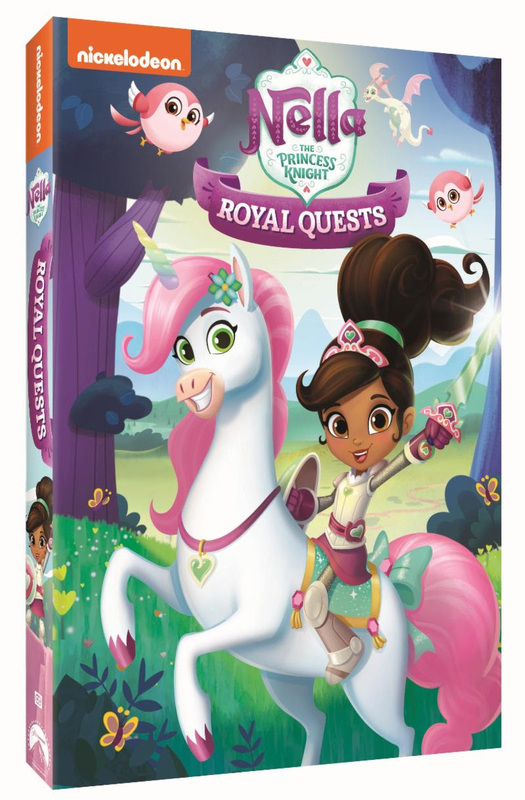 Nickelodeon's brave princess knight Nella, is riding onto DVD for the second time with the release of Nella the Princess Knight: Royal Quests. Available July 3, 2018, this eight-episode collection follows Nella and her friends as they embark on daring quests to save her kingdom. From tracking down the rare Bafflin, to teaching a dragon the true meaning of friendship, there's no adventure too daunting for the heroic, Nella the Princess Knight. Nella the Princess Knight: Royal Quests is produced by Nickelodeon Home Entertainment and distributed by Paramount Home Media Distribution and will be available on DVD July 3, nationwide in Canada and exclusively at Target in the US for the suggested retail price of $12.99. Win: One lucky winner will receive a copy of Nella the Princess Knight: Royal Quests on DVD! The deadline for entries is July 3, 2018 11:59pm HST. If you submitted an eligible entry and it is chosen by random.org as the winner, you will be notified via email on or about July 4, 2018 (make sure your email address is in your profile or comment and be sure to check your junk/spam, etc. folders) and will have 3 days to respond. I would love to win this for my daughter's classroom DVD collection. She is a teacher at a daycare and the kids would love this. I would like to win because I think it's cute and I know a little girl who would just love it. My granddaughter would really love this giveaway! She's such a girly girl! I would like to win this for my kids. They love these kinds of movies. I would love to win for my daughter, she has 3 older brothers and could some girly movies! i would love to win this for my kids, we would enjoy it. I would like to win "The Dragon Bully". I'd love to win for my twins! They would love this! My granddaughters would absolutely love Nella the Princess Knight: Royal Quests on DVD. 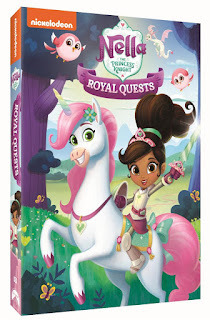 I have granddaughters that definitely woukd like a very amazing Nella the Princess Knight: Royal Quests on DVD. My nieces would really enjoy a marvelous and nice Nella the Princess Knight: Royal Quests on DVD. A wonderful Nella the Princess Knight: Royal Quests on DVD, my granddaughters would always like and love for lots of fun. I have nieces that would really want and like a fabulous Nella the Princess Knight: Royal Quests on DVD. My daughters would just enjoy an awesome and fun Nella the Princess Knight: Royal Quests on DVD.